Prostate Cancer – How do you Know? Dr. Alex Shteynshlyuger is one of the first urologists in New York City and the United States to offer Urolift, an innovative treatment for BPH and enlarged prostate for men. 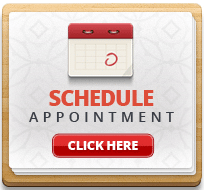 For more information or to schedule an appointment, contact us. Urolift is truly a revolutionary treatment for BPH and enlarged prostate. This is an office procedure that can be done under local anesthesia with the patient going home within an hour. This is the only procedure for treatment of BPH that does not have any sexual side effects. Scientific study randomized men to placebo or Urolift. After a year in the study, the men who received Urolift procedure had actually improved sexual satisfaction compared to men who did not get treated. This is truly unprecedented in the field of BPH treatment. How soon can I expect to feel the benefit of Urolift Procedure? Most men feel significant relief within days of the procedure and certainly within 2 weeks after the procedure. It may take some time for the bladder to adapt to the new situation where it does not need to push against prostate to empty itself. Who is a candidate for Urolift Procedure? Men who are currently taking medications for BPH and Enlarged prostate (Flomax, Uroxatral, Proscar, Avodart, etc) and who do not wish to take daily medications or for whom the medications do not work as well as they did before are good candidates for Urolift procedure. Men who have symptoms of enlarged prostate and BPH and who are concerned about sexual side effects of other treatment options are good candidates for Urolift procedure. Rapid relief of BPH symptoms within 1-2 weeks of treatment. © 2013 Alex Shteynshlyuger MD. All rights reserved. Best Enlarged Prostate, prostate health and BPH surgery for men with slow urine and trouble urinating. Top Urologist in Brooklyn, NYC, Manhattan, New Jersey Queens, Long Island and Staten Island.